Sage graduated from Western Washington University in 2016 with a B.S. in Environmental Science. He then went on to serve one year with the Washington Conservation Corp where he focused on stream and habitat restoration in the City of Redmond. Currently, Sage is attending the University of Washington in the Wetland Science and Management program. 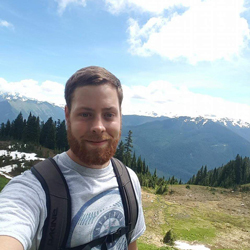 Outside of work Sage enjoys playing ultimate frisbee, goaltimate, hiking and boardgames.